This show is made in arrangement with the Judy Garland Estate, and is the only authorised Judy Garland show in the world today. International theatre producer David King is delighted to announce the UK premiere of a breathtaking new musical show, JUDY - THE LIFE AND MUSIC OF A HOLLYWOOD LEGEND, which will tour some of the UK’s finest theatres, opening at the Edinburgh Playhouse on May 8 2015. Highly-acclaimed choreographer and theatre director, Arlene Phillips, will be the Creative Director on the production. This will be the only Judy Garland Show in the world authorised by the Judy Garland Estate. Judy - The Judy Garland Story, stars Lorna Luft, Judy Garland’s daughter, together with leading West End musical theatre stars, including Louise Dearman, Rachel Stanley, Ben Richards, and more. Also appearing are Judy’s dancers - The Boyfriends, named after Judy’s original dancers of the same name. Arlene Phillips is Creative Director and it is directed by Christopher Manoe. 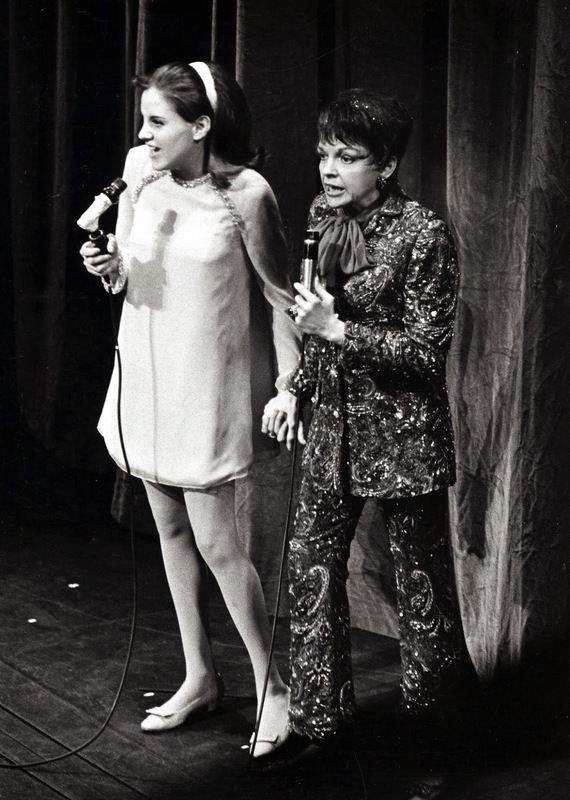 Lorna Luft is considered to be part of Showbiz Royalty, as the daughter of Judy Garland and the half sister of Liza Minnelli and a highly successful stage, film and TV actress and singer. She has appeared in numerous film, TV and stage shows, including White Christmas, They’re Playing My Son and Babes in Arms. Lorna appeared on stage regularly with her mother as a young girl and continues to maintain a high profile concert career. Louise Dearman is the darling of the West End, and has performed in leading roles in many West End musicals including Wicked where Louise was the first actress to play both the good witch and the bad witch, Glinda and Elphaba. Louise also starred in Evita, Cats and Guys and Dolls to name just a few. Arlene Phillips (CBE) is one of the UK’s best known choreographers, and also works regularly as a theatre director and is a well know television personality. Arlene has worked on numerous stage productions, (The Wizard of OZ, Starlight Express, Grease) TV (So You think you can Dance) and films (Annie and Private Dancer).